UV air purifiers: do they work? • The Air Geeks, reviews of air conditioners, dehumidifiers and air purifiers. Air Purifiers, Blog » UV air purifiers: do they work? Are you tired of living in a space that is dominated by airborne contaminants and you are now looking for an air cleaning solution that will transform your room and make it a comfortable place for you and your family? If that is what you are intending to do, then there are many options to choose from. A UV air purifier uses UV light technology to destroy mold, bacteria, viruses and other airborne contaminants. 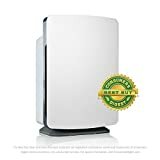 In case you are looking for an appliance that will help to eliminate airborne allergens and disease causing microorganisms from the air in your room, then a UV air purifier is a viable option. Whereas there are air purifiers that combine multiple air cleaning mechanisms, some use a single mechanism and they are therefore unsuitable for general air cleaning applications. UV air purifying systems are suitable for destroying a wide range of pathogens and reducing volatile organic compounds (VOCs). Before you select a particular air purifier, you should consider its features to be sure that it is capable of meeting your specific air cleaning needs. A UV air purifying system contains a bulb that emits high power ultra violet light. This light has been proven to be capable of destroying a wide range of airborne contaminants including algae, bacteria, viruses, mold, and other microorganisms. The high power UV light eliminates airborne microorganisms either by killing them or by destroying their DNA structures. Unlike other air cleaning appliances, a UV air purifier does not have a filter and it is therefore incapable of trapping particles such as dust and pet hair. If you are looking for an air purifier that is capable of killing germs as well as capturing particles, then you should select a unit that combines UV technology and a filter. The effectiveness of a UV air cleaning system depends on a number of factors. To start with, the unit must be capable of irradiating germs with the required amount of UV light. Some air purifiers use a fan to bring bacteria, germs, viruses, and so on close to the germicidal UV lamps. The UV light produced by an air purifier must also be of the intensity needed to destroy pathogens. To produce the required intensity, many appliances emit high power UV light. Lastly, the effectiveness of a UV air purifying system is dependent on air circulation. It is therefore necessary to ensure that there is a mechanism of circulating air in your room. Most air purifiers use a fan to ensure that the air in a given space is not stagnant. The effectiveness of your UV air purifier can also be enhanced by making sure that your space is not larger than the space recommended by the manufacturer. Research has shown that UV air purifying systems can help to control the spread of disease causing microorganisms in our homes and offices. Laboratory tests have shown that a UV air purifier can eliminate up to 99% of disease causing microorganisms that cause various diseases including flu, pneumonia, TB, common cold, measles, strep, and SARS. By killing these pathogens, UV air purifying systems help to protect your loved ones by providing them with germs-free air. They also help to contain the spreading of an airborne disease from one member of your family to another. Some microorganisms are very small to be captured by an ordinary filter. For such microorganisms, the best way to eliminate them is by employing a UV air cleaning system. 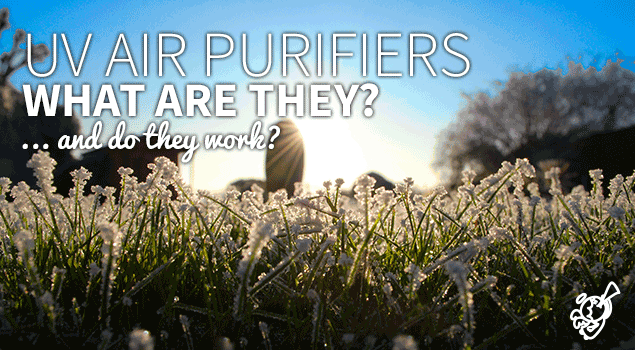 UV air purifiers can destroy pathogens that are smaller than 0.3 microns. Traditional air cleaning systems are poor in controlling the spread of airborne diseases such as flu, common cold, measles, TB and so on. Such air purifiers cannot be relied upon to protect your loved ones from contracting airborne diseases. The germicidal UV lamps kill a wide range of pathogens before they find their way into your lungs or those of your loved ones. In addition, UV air purifying solutions are good for protecting those with weakened immune system. Most traditional air purifiers use energy demanding fans to blow air. The UV air purifier can deliver impressive performance without demanding a strong fan. In case you are looking for an energy efficient air cleaning system, then a UV air purifier is a suitable option. Nevertheless, you should consider your air cleaning needs before ordering this air purifying system. Just like any other appliance, an air purifier requires regular maintenance. A dirty filter provides a good environment for the growth of contaminants and a delay to clean the component can therefore result in air contamination. 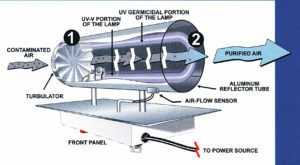 A UV air cleaner uses germicidal UV lamps to eliminate airborne contaminants instead of filters. There is therefore no risk of air contamination if you delay to service your appliance. On the flip side, using old bulbs lowers the effectiveness of your UV air purifier. In case you are looking for an air purifier that is capable of eliminating different types of airborne contaminants, then a UV air cleaning system may not be a viable option. This air cleaning solution is incapable of capturing various contaminants including pet dander, pet hair, and dust particles. In addition, a UV air purifier is not the best option if you are looking for an air cleaning system that will help to eliminate bad smells from pets, smoking, and kitchen activities. A UV air purifying system is suitable for destroying germs, viruses, bacteria, and other airborne microorganisms.